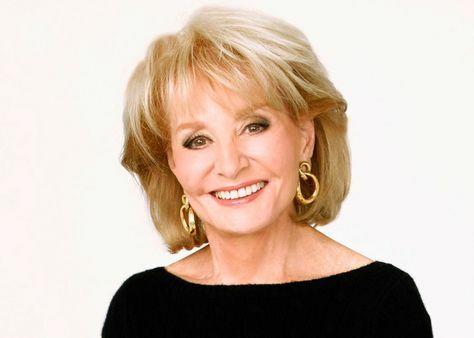 Barbara Walters is an American broadcast journalist, author, and television personality. She was the news anchor at NBC’s Today, and hosted the ABC News magazine 20/20 for 25 years. From 1997 to 2014, she co-hosted the morning television show The View. She is also known for being the first female co-anchor of a network evening news program. In 2008, she released her autobiography, Audition: A Memoir. Born Barbara Jill Walters on September 25, 1929 in Boston, Massachusetts, USA to Louis Edward Walters and Dena Seletsky, she belongs to Jewish descent. After graduating from Miami Beach Senior High School in Miami Beach, Florida, she attended and graduated from Sarah Lawrence College with a BA in English. She first gained fame as a television personality in the early 1960s, when she was a writer and segment producer of “women’s interest stories” on the NBC News morning program The Today Show, where she began work with host Hugh Downs. She was married to Merv Adelson, Lee Guber and Robert Henry Katz. She has a daughter named Jacqueline Dena Guber. *She was born in Boston, Massachusetts on September 25, 1929. *She has Ashkenazi Jewish ancestry. *She was ranked #34 on the TV Guide “50 Greatest TV Stars of All Time” list in 1996. *In 2000, she was named one of the “Best Dressed Stars of All-time” by People magazine. *She has never owned car or had a Driver’s License her entire life.